The name of the author is the first to go followed obediently by the title, the plot, the heartbreaking conclusion, the entire novel which suddenly becomes one you have never read, never even heard of. Billy Collins was born in Manhattan. He is an American poet, appointed as Poet Laureate of the United States from 2001 to 2003. He is a Distinguished Professor at Lehman College of the City University of New York and is the Senior Distinguished Fellow of the Winter Park Institute, Florida. Collins was recognized as a Literary Lion of the New York Public Library and selected as the New York State Poet for 2004 through 2006. He is currently a teacher in the MFA program at Stony Brook Southampton. 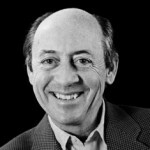 Billy Collins attended Archbishop Stepinac High School in White Plains and received a B.A. in English from the College of the Holy Cross in 1963; he received his M.A. and Ph.D in Romantic Poetry from the University of California, Riverside.